Full Description: This fully furnished one bedroom apartment is located in a prestigious development in Graham Street. Carpeted throughout, the decor must be seen. The apartment also benefits from Economy 7 electric heating, and an allocated Car Parking Space. 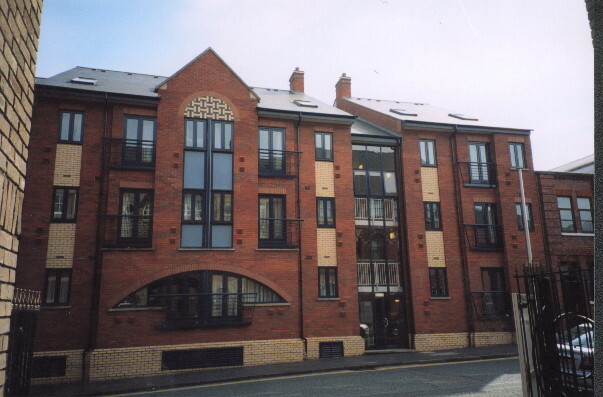 It also benefits from being a short distance from Birmingham City Centre and the charming area of St Pauls Square. It is Ideally situated for those wishing to take advantage of its convenient location and proximity to a variety of social, recreational and sporting amenities. Train services operate to London from both New Street and Snow Hill stations. Access t national motorway network is easily available via the A38 M Aston Expressway.St. Pauls and St. Phillips churches are within close proximity along with the popular renovated canal system which gives access along its towpaths to Brindley Place and the International Convention Centre, Symphony Hall and the National Indoor Arena. Electric points, electric heating radiator and access to storage / Airing Cupboard housing boiler and shelving. light fitting, electric heating radiator. utility points, large mirrored sliding door wardrobes. £10,000 Per Annum All Inc.